The presence of poverty weighs heavily on the city of Colorado Springs. 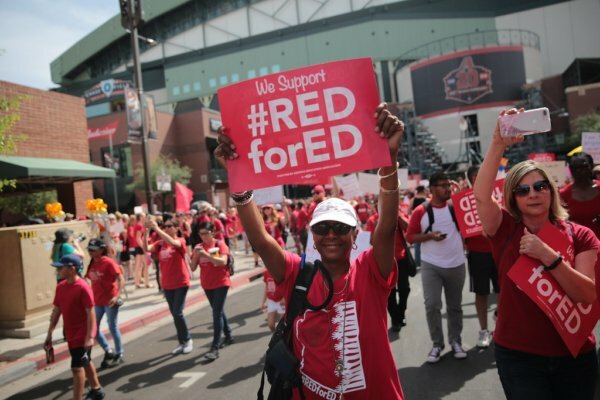 At busy intersections, people stand in the hot sun or bitter cold with signs reading things like, “Anything helps.” Young and old carry their belongings bundled on their backs or rest beside shopping carts containing everything they own. But lately there is a new presence in the city: bulldozers, cranes and enormous piles of building materials. The new building projects, over 40 in total, are not affordable housing or shelter space to meet the needs of the city’s residents. These projects are hotels, banks, high-end apartment buildings, and fancy new tourist attractions, such as a massive state-of-the-art sports arena, a high-tech interactive Olympic museum, and a modern new visitor center for the Air Force Academy. Hundreds of millions in state and local tax dollars are pouring into upscale development to transform Colorado Springs into a destination for young professionals from across the country — and with them, high revenues for developers and business owners. This project’s name plainly reveals who these investments are for: Colorado Springs will become the “City for Champions.” Anyone who doesn’t fit the bill is not welcome. Housing insecurity is an enormous problem in Colorado Springs. Although only 12.8 percent of Colorado Springs residents technically live below the federal poverty line, this is a misleading measure, as a single person making $1,000 per month is above the poverty line. With average rent at $958 per month, many people struggle to secure safe and consistent housing. About 55 percent of renters are considered “rent-burdened,” or paying more than 30 percent of their income on housing. Those pushed into homelessness face a constant barrage of discriminatory legislation from City Hall. With the 2016 Pedestrian Access Act, colloquially known as the “Sit-Lie” ordinance, the city legalized the expulsion of homeless people from high-traffic areas of the city. The original proposal would have made sitting or resting on nearly any surface in the downtown and business districts a crime, punishable by a $2,500 fine and six months in jail. Local activists fought to reduce the penalty to a $500 fine and 90 days in jail, but the inhumane and degrading core of the law remains in force. 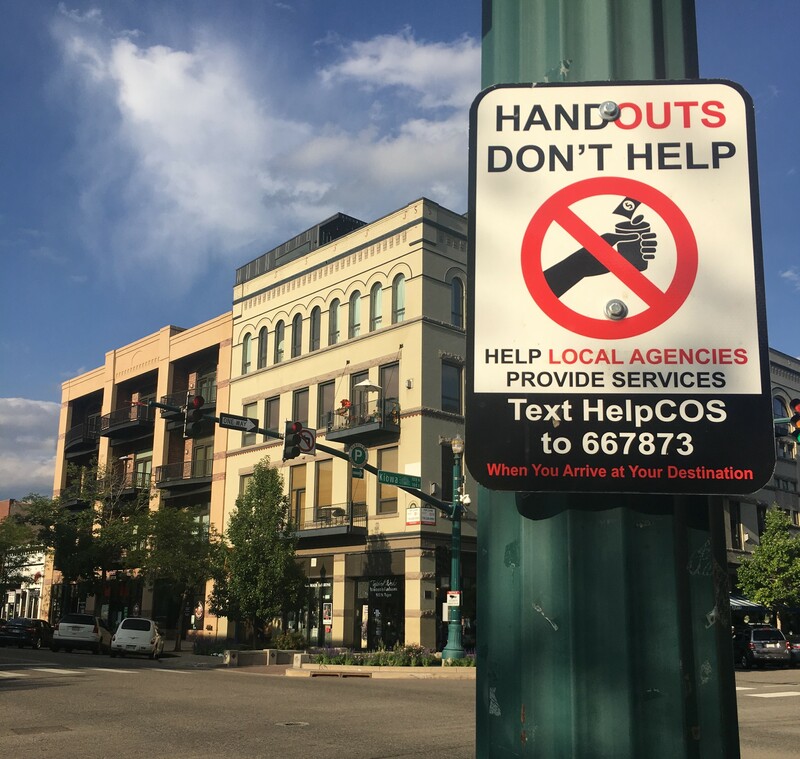 This past May, after several controversial and failed attempts to completely outlaw panhandling in the downtown area, the City Council launched a cruel campaign against homeless residents. 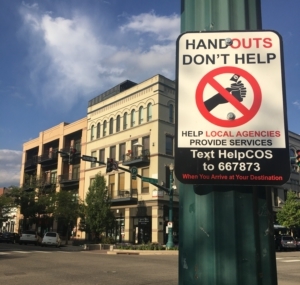 At 65 strategic points in the city, signs read, “Handouts Don’t Help,” directing would-be donors to text a charity service instead of giving money directly to homeless people. This messaging plays into an untrue narrative about the homeless: that they cannot be trusted with money because they are incapable of managing their own needs. The worst abuse, however, happens outside of public view. In 2010, the City Council, backed by local business owners, passed a city-wide camping ban to criminalize unauthorized camping on public property. Without building adequate shelter space, the city has essentially made it illegal to be homeless and seeks to drive homeless people from the city. Local police regularly carry out raids on homeless encampments to force people out, confiscating their precious belongings, issuing unaffordable fines and making arrests. The homeless population is being pushed into new, oftentimes more dangerous and secluded areas. Similar bans now exist in many of Colorado’s major cities, including Denver, Boulder and Fort Collins along with many others around the country. In July, the City Council gave final approval to a crackdown on camping along the city’s waterways. Under this resolution, police enforcing the ban do not have to ensure that shelter space is available before forcing residents to pack up. These policies should be understood as attempts by the city to ostracize those without housing and ultimately drive them out of Colorado Springs in order to “beautify” the city for the sake of real estate profits. As winter sets in, the dire inadequacy of the city’s shelter facilities are felt acutely across the city. Last January, 513 people slept outside in the cold with most shelters at capacity. The Springs Rescue Mission, currently the city’s main shelter, is scrambling to provide 300 more beds by the end of the year for the most at-risk of the homeless population. Their struggle typifies the inadequacy of non-profits in the face of the ruthless logic of capitalism. Despite ceaseless work by dedicated advocates, construction plans to expand shelter capacity have stalled. The mission is funded largely by private donors, so its work is subject to these kinds of halts when donations unexpectedly decline. For the third year in a row, the number of people without homes in Colorado Springs has increased, surpassing the numbers reached during the 2008 Great Recession. At least 1,551 people were homeless this past May. Advocacy groups cite the severe lack of affordable housing in the city as a root cause. By 2019, the city will be 26,000 units short of the needed affordable homes. The “C4C” initiative centers around four major projects: a $75 million U.S. Olympic Museum, a $27.7 million 10,000-seat sports arena, a $35 million new visitor center for the Air Force Academy, and a $61 million sports medicine center at UCCS. Alongside these projects, developers are pursuing contracts for a slew of luxury apartment buildings, hotels, offices, restaurants, and beautification projects to attract and accommodate the hordes of young professionals and tourists expected to arrive shortly. Developers and business owners revel in the profit-making opportunities. The working people of Colorado Springs, however, have nothing to celebrate. While many millions of dollars are made available for sports complexes and museums, the city creates only about 500 new affordable housing units each year, a number far from meeting the city’s growing needs. Colorado Springs’ colossal investments have drawn in investors and real estate managers from around the country, and local developers are beginning to worry that the out-of-towners are glutting the market, creating the conditions for a crash that will ruin it for them all. The trend in Colorado Springs is mirrored across the country — ignoring the lessons of the last major crisis, developers are gambling on speculative investments that will make them fat profits. Though they’re winning today, the economy can only sustain so much new development before the bubble bursts and their investments deflate. At any moment, even a mild recession could curb the flow of visitors to Colorado Springs and the city’s booming development market could collapse. 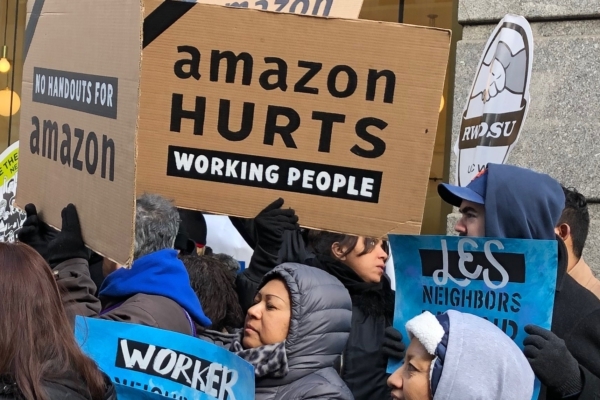 Rising rent prices and expenses already put a strain on the masses of working people who haven’t seen their wages rise to reflect the cost of living. What will layoffs and wage reductions mean for the untold number of families already living only a paycheck away from homelessness? When the next crash comes how many millions will lose everything and find themselves turned out on the street as we saw in 2008? There is nothing inevitable about poverty, homelessness, and constant financial anxiety. This country has the resources to provide for the basic needs of all people. We must fight for a system in which we, the poor, working, and oppressed people, have control over where our resources go. We must fight for socialism.